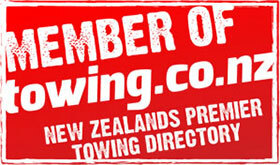 Welcome To ACE Heavy Haulage Your New Zealand Wide Specialised Truck Towing Company. We have got all your truck towing and heavy haulage needs covered, from minor breakdowns to full scale removal of large machinery. ACE Heavy Haulage has been operating in New Zealand for over 26 years, and in that time we have built up a reputation for speedy, expert service and the ability to provide our clients with whatever towing solutions they need, right when they need it. Secure Storage for your machinery or vehicles. Roadside Assistance and a Breakdown Service so should you have an unfortunate breakdown, our experienced team can be there in a flash. A full Tow Service to take your vehicle wherever it needs to go. Salvage for your equipment that is no longer in use. Heavy Winching equipment hire for your convenience. Accident Recovery and Accident Scene Clearance to minimise risk by clearing debris and damaged vehicles from the site. Machinery Transportation, taking your machinery to the location you need it. Load Recovery our tow trucks can help to recover any damaged load safely. No matter how big or small the job, ACE Heavy Haulage has the heavy haulage equipment, systems, and expert, well‐trained team members to sort it out quickly and efficiently. Give us a call today on our 24 hour contact number, 0800 TOO TOW (0800 866 869) to talk with our friendly dispatch team about what you require. As a family owned and operated business, we make it our policy to understand your needs and provide the best possible solution.